I had fun making this little set for my scone. That's my bag of Stumptown coffee in the background, sugar bowl full of birch xylitol and my favorite Seitan Is Evil mug. Here's a teaser recipe adapted from The Gluten-Free Almond Flour Cookbook by Elana Amsterdam. I started to make the cookbook's version of these, which are classic Chocolate Chip Scones, but chopping up the chocolate in my Vitamix made cocoa powder instead of the called for "chopped chocolate". Doh. I forged ahead with the recipe anyway and was pleasantly surprised by the extra chocolatey results! I have to admit, I wasn't crazy about the idea of having to order expensive blanched almond flour online. I held off for awhile, tried using other almond flours, and then finally broke down and bought some. I tried to make myself feel better about the spendy purchase by silently saying to myself, "It is an investment in your health." Well, now that I've tasted the difference…I don't have to explain it away anymore. I've decided that the taste alone is worth it, and then when you figure in the health benefits of almonds, who needs refined flours and starches anymore?! The protein factor practically makes treats like these a meal. And you know I'm all about guilt-free treats! Mix dry ingredients (except the cocoa) together. In a separate bowl mix the wet ingredients together until blended. Add in cocoa powder. Combine dry ingredients with wet ingredients and mix well. Place 1/4 cup of batter onto parchment paper lined baking sheet. Repeat for each scone and space about one inch apart. Bake 12 to 17 minutes or until scones pass the clean toothpick test. This recipe made about 9 large scones for me. P.S. My gluten luvin' friends went gaga for these! Mouthwatering! Thanks, I can’t wait to try it. Oh my I love scones! For those of us allergic to nuts, can you recommend a substitute for the “blanched almond flour?” Would a regular GF flour work? 1/2 cup GF oats or quinoa flakes mixed with a good gf flour blend like brown rice flour/sorghum. Or just try a regular GF flour blend and see what happens. I think the worst thing that could happen is they turn out more like a cookie? I just had another idea….what about coconut flour? Can you eat that? I bet it would work. I’ll play with it. It is low carb also. Might be an alternative for those with nut allergies. these look great and i cannot wait to make them! a note about ‘pricey’ almond meal flour…the best price i have found is at trader joe’s..they sell it in one pound bags for about 3.99…i used to get it online from a vendor who is no longer in business and with shipping it came to about that same price-but this is the best price i have seen…does anyone else get it somewhere cheaper? i like to use the almond flour as much as possible tho because of the low starch and higher protein content..
looking forward to trying these soon! thank you! Thanks for your input, Donna! I’ve used TJ’s almond meal flour. There is a HUGE difference though in texture with the BLANCHED almond flour vs. the regular almond meal flour. The blanched flour is softer and the skins have been removed. Sort of like if you’ve ever made marzipan. That is how they get so soft- no skins and blanching. So, if you haven’t yet tried the blanched flour, you’ll love it. I was a skeptic, but now I’m sold. There are some things the regular ALMOND MEAL flour is good for…like fruit crisps…and so you can save some money by using it. I thought the price was ridiculous for blanched almond flour at the health store so I just bought a pound of unroasted almonds and made my own…it turned out more like meal in my food processor, but only about $3lb for the nuts so worth it. It’s time consuming but easy to slip the skins off blanched almonds. Thank you for this interesting tip, Marisa! Hmm…I’ll have to try this sometime. I think this is a miscategorized recipe – the eggs make it non-vegan. It looks wonderful though, want to try it with an egg replacer! These scones look intriguing. My brother-in-law often eats gluten free (and his wife is vegan) so we are always on the lookout for great recipes to try out when they visit. My wife also has a great cinnamon scone recipe that might be great to try with the blanched almond flour. OK – I just made these and they are AWESOME. Even better, they freeze and reheat well. I am trying to find good recipes for grab and go breakfast options that will please both my husband and my teenager and these definitely fit the bill. I would love seeing new scone recipes with Almond flour. I’m working on a post about the difference between blanched and unblanched almond flours: how it affects your recipes and what you can do to compensate. For instance, I love Trader Joe’s almond meal, but since it is unblanched and contains the skins it absorbs more moisture, so your recipe will likely come out too dry if it is written for blanched almond flour. But you can compensate by adding some extra moisture. My almond flour page will let you know how much, once I get it figured out. My current estimate is a tablespoon of extra liquid for each cup of unblanched almond flour. What about baking with sorghum? Are their more than 1 kind of sorghum? I just found your blog! I am so excited to see xylitol in this recipe. I am celiac and my sister was just put on a gluten free, sugar free diet for her fibromyalgia. She can only have xylitol and stevia. Is there a place on your site that you explain how to make a simple syrup with xylitol? She doesn’t bake so I try to supply her with things to take home for her freezer when she comes to town. This looks super yummy! But I think there is a typo on the quantity of dark chocolate — is it 1/4 pound? Cup? sk8marie: good catch!! it is 1/4 cup. 🙂 Enjoy and thank you for bringing this to my attention! As an SCD I was stoked to see this recipe. I love chocoalte and its the only thing I cheat with on the diet and albeit on rare occassions. Can’t wait to try it! Also, what are you using as your social media sharing at the bottom of your post? Hmmm. I am vegan so I made this with EnerG egg replacer, and it did not seem to have enough moisture in the batter so I added more water, eventually adding an additional 1/2 c which finally made it come together as a fudge-like dough in my Cuisinart. But this is not at all what I’m used to scone batter being like, I’m used to it being much wette and looser than this. The dough was very dry, and I made it into cookie shapes and am cooking it now. My almond flour was also “with skin”- ie, not blanched– not sure if that added so much more fiber that it required more liquid? We shall see. First batch is cooking up right now….OK, they came out, but they didn’t change shape at all, or expand, and I’m here to say that with the changes I made to the recipe, it did not turn out as something you’d want to repeat. They’re like very dense brownie-cookies. Diane…hmm very dense brownie cookies sound good 🙂 Sorry it didn’t work out. Yeah, too many changes to the original recipe. I do know the blanched skinless almond flour is a MUST! Let us know if you figure out a vegan version. I tried using coconut flour but I don’t think it worked. I had to add A LOT of water to the batter because there wasn’t nearly enough liquid to absorb the amount of flour I used. I only had about 3/4 cup almond meal, so I substituted coconut flour for the rest. (Hmm. I wonder if I put in one too many cups of flour by mistake or something… ) Anyways, it’s not a complete disaster. I’ve had a couple and they are a bit dry but otherwise edible. They didn’t really “bake” the way cookies normally do so they’re more like a raw cookie. I tried these over the weekend and my family loved them. I used the blanched almond flour from Bob’s red mill. I added 1tsp of vanilla, 2 tbsp of rice milk, 1 tsp of xanthum gum and an additional 1/4 tsp of baking soda. The scones turned out moist and a bit thicker than pictured. Loved it! 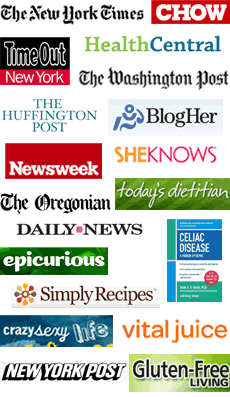 I discovered that I was celiac very soon and had to change my diet. And since I love subways, I need to find alternatives.